Obituary for Wendy Kay (McLallen) Wheeler | Cremation & Funeral Service by Gary S. Silvat, Inc. 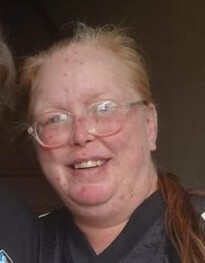 Suddenly on Tuesday, April 2, 2019, Wendy Kay (McLallen) Wheeler, age 51, of Greenville, PA passed away in the emergency room at UPMC Horizon Hospital. She was born on March 1, 1968 in Harrisburg, PA to James and Charlene McLallen. Wendy is survived by her fiancé, Gary DeWolf of Greenville, PA; children, Anthony (Harleigh Cox) Steele of New Galilee, PA, Tina Steele of Butler, PA, Hope Wheeler, Candise Aultz, both of Erie, PA, Roger Wheeler Jr., of Greenville, PA; grandchildren Anthony Jr, Hayden Steele, Cameron and Chase Steele. Wendy was a 1986 graduate of Mercer High School, a member of the Greenville VFW, was an avid Pittsburgh Steeler fan, enjoyed the outdoors especially fishing and hunting. 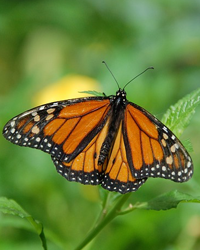 She was fond of butterflies, loved bingo but most of all her greatest joy was being around her family. Private family service was observed at Cremation & Funeral Service by Gary S Silvat Inc. Send condolences by visiting: www.cremaepa.com.